A patient being given inhalational anaesthesia. Anesthesia is sometimes administered continuously through an IV catheter. Anesthesia refers to medication used during many surgical procedures to help minimize the awareness and pain felt by the patient. Anesthetics given through breathing masks, injections, or applied topically are some of the best-known and most commonly used routes for anesthesia drugs; however, anesthesia may be induced in several ways, such as intravenously (IV) or through a catheter. Some of the most frequently used anesthesia medications include barbiturates, benzodiazepines, and ethers. At times, anesthesia drugs are also combined with other medications, such as analgesics, to further prevent pain or discomfort during surgery. General anesthesia is a process that affects the whole body and causes the patient to become unconscious during major surgical operations. Anesthesia drugs are typically given through IV, by injection, or through face masks or endotracheal tubes. 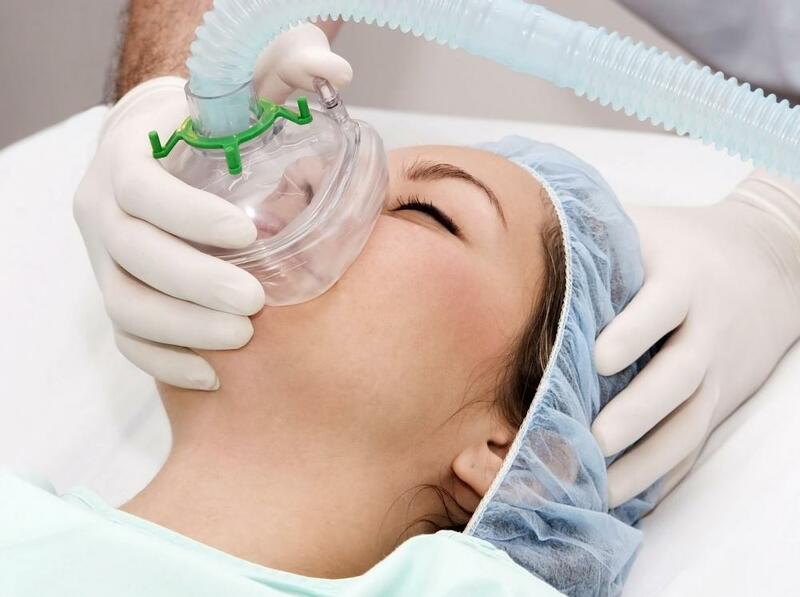 The purpose of general anesthetics is to cause the patient to become unaware of the procedure being done, and to ensure that he is immobilized and free of pain during the operation. Many different types of medications may be used for anesthesia, such as hypnotic agents, dissociative drugs, and strong sedatives. Unlike general anesthetics, local anesthesia drugs focus on a specific area of the body. Patients generally remain conscious after receiving these medications, but the small area that received the drug will generally feel numb. Local anesthetics are often used for painful but relatively minor operations, but may also be used for chronic or acute pain. The drugs used for this type of anesthesia are often topically applied or given through injection, but may also be introduced into the system by way of a catheter. Pain relievers like opioids and numbing medications like prilocaine are some of the most commonly used local anesthetics. Block and epidural anesthesia are other frequently used options. Caudal, peripheral nerve, and interscalene blocks are injections of short-acting anesthesia drugs that work directly with the nerves to help prevent pain during certain operations. This type of anesthesia is usually used on larger areas of the body while the patient is still conscious. Epidurals are given by an injection that inserts a catheter into the patient's back so that she can receive regular doses of the anesthetic medications. The patient is generally awake during the procedure, but will be numbed and free of pain from the waist down by the combination of anesthetics and analgesics. What Are the Uses of Lidocaine and Prilocaine? What Drugs are Used in Veterinary Anesthesia? What is an Anesthesia Cart?